(1) Does a consistent set of species cooccur over the entire geographic range? (2) Do the identities and abundances of the species change with latitude or habitat characteristics? (3) Do species covary, in either presence or abundance, at different spatial scales (within or among sites)? (4) Is there evidence of historical effects (e.g., glaciation) on community patterns? (5) What can we say about the historical phylogenetics of this community type? Is there evidence that these species have spread together in some dependent fashion or coevolved? The study consists of four components. First, a workshop was conducted at Wakulla Springs, Florida, to bring together two groups of scientists: a group currently studying some aspect of Sarracenia communities and a group who work on broader questions of community ecology and evolution. 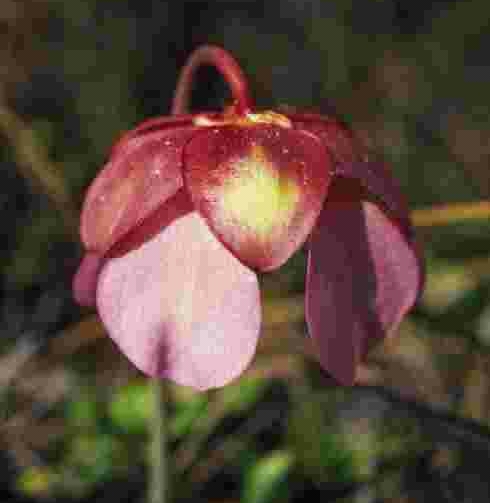 Second, a smaller working group designed and carried out a survey of pitcher plants from the southeastern United States through Canada. Third, these data are now (early 2002) being used to develop a formal, spatially explicit database, which will be used to address questions set out at the conference, as well as to develop further research areas. Fourth, a second conference will be held in the spring of 2002 to re-evaluate the questions and approaches set out in the first . We invite you to explore these pages and to learn about this unique community and our study. Please feel free to contact any of the Principal Investigators if you have any questions.